Welcome to the blog of Rev. Kathleen Henrion, Pastor of Boeuff Presbyterian Church of Gerald, MO. In eighth grade God called me to ministry and life hasn’t been quite the same since. This call has led me to study telecommunications at Ball State University and receive a Masters of Divinity from Union Presbyterian Seminary. 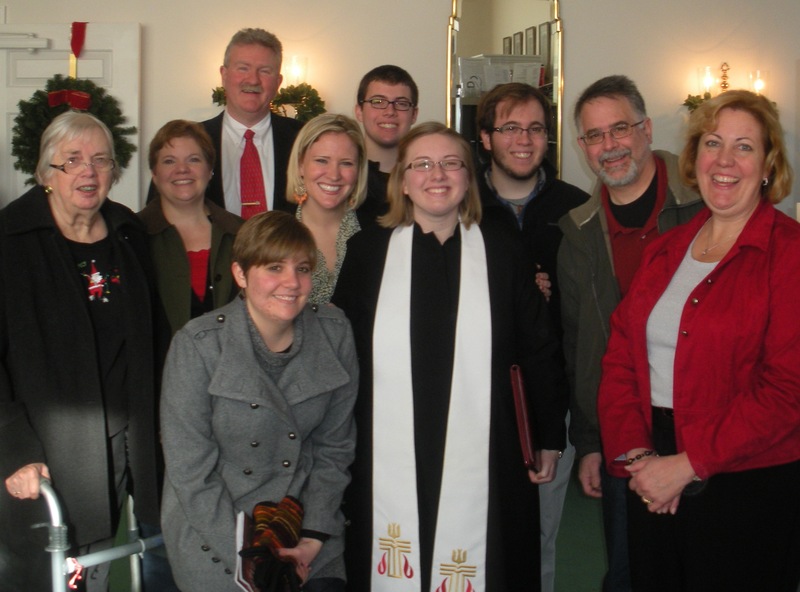 In September 2012 I became pastor of First Presbyterian Church of Jesup, IA and in September 2014 I began a call as Associate Pastor of First Presbyterian Church of Holt, MI. I am excited by the way our creator God, created us in God’s own image, and we are able to respond to this amazing gift through creativity. I enjoy finding ways to knit any/everything, making elaborate excel spreadsheets, and telling stories through film. Thoughts expressed on this page are my own, except when attributed elsewhere, and do not claim to reflect the views or opinions of anyone not attributed. At fifteen while on a bus trip from Arkansas to the Seattle World’s Fair, we stopped at Salt Lake City. I had the same thing happen….a brief slip of the brain….and wondered why the Mormons thought we Presbyterians needed special signs.